Google offers many helpful web tools that make our lives easier, but it also collects an enormous amount of data about its users. Here’s how you can opt-out of some automatic data collection and preserve a bit more privacy. Privacy has been a big issue online lately, and many people have been trying to cut back on the amount of information they share about themselves online. But 2 popular Google services, Analytics and AdSense, both collect data about you from many sites you visit across the internet. 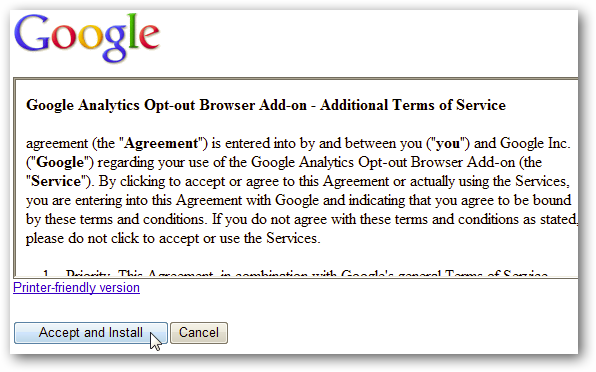 With these quick tricks, though, you can opt-out of some of Google’s data collection. Google Analytics is a popular service that web publishers use to find out information about the visitors to their site and their number of page views over time. This information can be very helpful for optimizing websites. However, it does mean that Google is collecting information about your visits to many sites across the web. If you’d like to opt-out of this data collection, Google has a simple browser add-in you can install to prevent Analytics from collecting information about your visit. 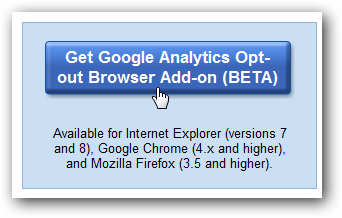 Head over to the Google Analytics Opt-out site (link below), and click the Get Google Analytics Opt-out Browser Add-on button. The site will detect the browser you’re using, and offer you the correct add-on. When you click the button above in Google Chrome, it will redirect you to the addon’s page in the Extension directory. Click Install. 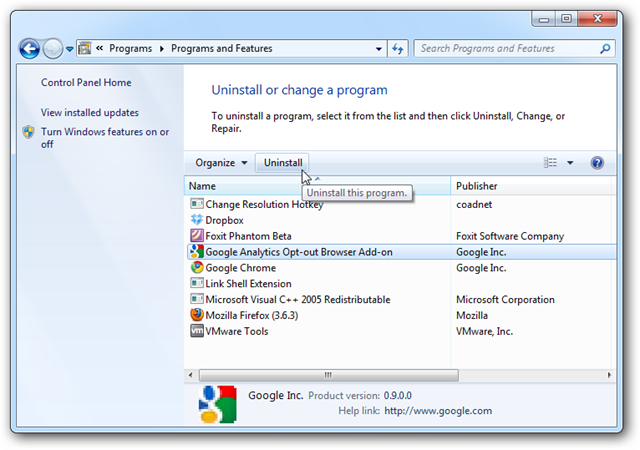 Now click Install again in the popup to verify that you want to install the extension. Now your browser will not send any information to Google Analytics. By default, extensions do not run when you’re using Google Chrome in Incognito mode. 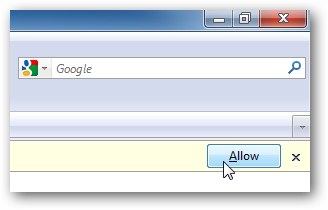 You’d likely want to keep Analytics from tracking your private browsing, too, so open the Extensions page in Chrome and check the Allow this extension to run in incognito box. When you click the button to install the add-on in Internet Explorer, you’ll be asked to accept a license agreement. Click Accept and Install. 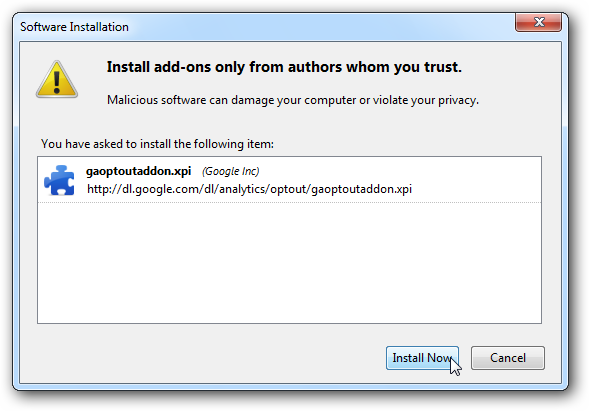 The add-on will then automatically download and install. If you’re using Vista or Windows 7, you may have to approve a UAC prompt to complete the installation. Then click Restart Browser Now to run the add-on and keep your data away from Google Analytics. Unfortunately, the Internet Explorer add-on installs as a normal Windows application. 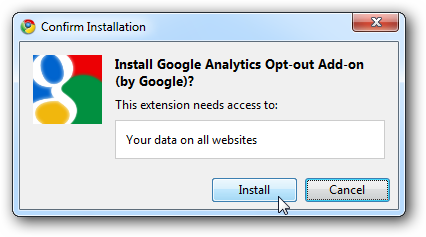 If you choose to remove it in the future, open Control Panel, select Uninstall a Program, and then select the Analytics Opt-out Browser Add-on to uninstall it. You’ll see a similar license agreement when installing the Add-on in Firefox as you do in Internet Explorer. Click Accept and Install. Firefox may warn you that it blocked a site from installing software on your computer; click Allow to let it install. Click Install Now in the popup window to confirm that you want to install it. Once the extension is downloaded and installed, restart Firefox as usual for it to take effect. Google’s AdSense is one of the most popular ad networks on the internet. It appears on Google services, such as Search and Gmail, but is also commonly used on many sites across the net. AdSense ads are generally based on the content of the page you’re reading, but they will also personalize to your interests that Google learns from the sites you visit over time. If you’d like to opt-out of this personalization, visit the Google Ads Preference Manager (link below). Here you’ll see a list of your interests that Google has stored in cookies on your computer. You can click the Remove link beside any of them to remove that category from your personalization. Or, you can simply opt-out of personalized ads by clicking the Opt out button near the bottom of the page. This will disable the tracking cookie, and now your ads will either be purely random or based only on the content of the page you’re visiting. Please note that this setting is actually stored in a cookie, so if you delete your cookies you’ll actually need to go back and opt out again. Also, if you use multiple browsers, you’ll need to opt out in each browser you use. With these two simple tricks, you can reduce the amount of information that you automatically give Google every day. If you are a tin foil hat type, this may make you feel more secure online.